Karen Cradock has worked extensively in rehabilitation both cardiac and medical in Ireland, England, New Zealand and Australia for almost twenty years.She completed a research masters in 2006 examining the role of exercise in patients with heart failure and was a pioneer in setting up heart failure rehabilitation services in heart failure in Ireland. She is currently Therapy Lead on the National Heart Failure Clinical Programme with the Health Service Executive where she continues to promote the role of Physiotherapy in the care of patients with heart failure. She worked in St. Vincent’s University Hospital, Dublin for thirteen years until November 2014 before concentrating on developing Heart 2 Heart Cardiac Physiotherapy. Karen was President of the Irish Association of Cardiac Rehabilitation between 2015 to February 2018 where she promote cardiac rehabilitation in Ireland and initiated the commencement of the National Data-set collection. She was part of a committee to complete the Irish National Guidelines in 2013. 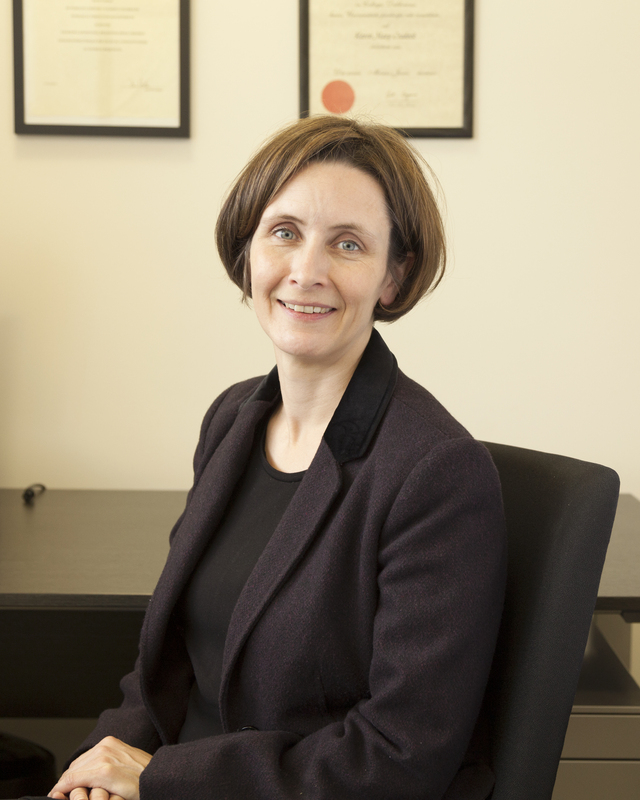 In July 2015, Karen was awarded Specialist Membership of the Irish Society of Chartered Physiotherapists in Ireland in recognition of her work in cardiac rehabilitation. B.Physio: University College Dublin, 1995. MSc. Research: Trinity College Dublin 2006. Advanced Cardiac Life Support Trained. Advanced training for Physiotherapists in Respiratory Care 2011. Advanced Training for Physiotherapists in Heart Failure 2013.